England prospect ​Jadon Sancho has named Ronaldinho as his footballing inspiration and explained why he chose to join Borussia Dortmund last year. 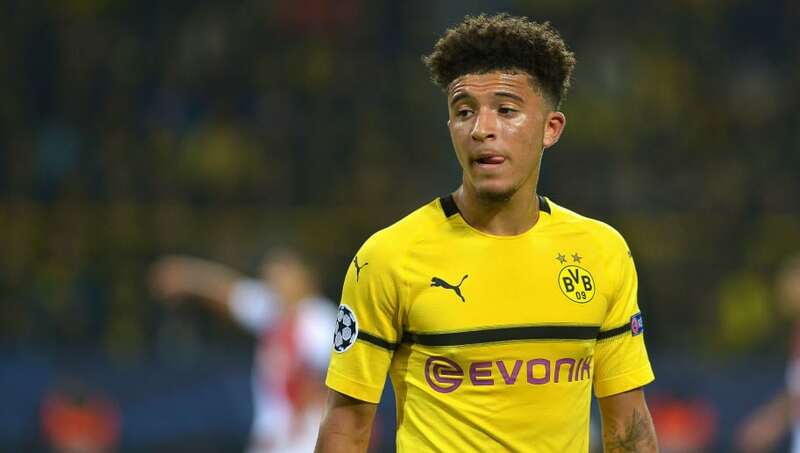 Sancho received his first call-up to Gareth Southgate's squad this week after a stunning start to the season in which he has provided seven Bundesliga assists in seven games at a rate of one every 30 minutes. Speaking to the media this week, Sancho said that it would be a "dream come true" to make his England debut against Croatia on Friday, and also revealed the inspiration behind his fearless approach. "I would say I'm a bit tricky, direct and just confident," he said, quoted by the ​Bundesliga website. "I believe in myself in one-on-one situations. I used to look at Ronaldinho, growing up, on YouTube. I just liked how he used to carry his team sometimes… and obviously he used to try things that no one else would try." Sancho was also asked why, at the age of 17, he took the daring step of leaving ​Manchester City to join ​Borussia Dortmund in 2017. He is the first player based outside of England to be called into the senior squad since David Beckham in 2009. "I was just focused on improving as a player," Sancho explained. "[Dortmund is] a city that loves football like no other. My main focus was to play first team and obviously get minutes under my belt." Sancho's Bundesliga form has caught the attention of several Premier League clubs. ​Manchester City reportedly have first refusal on any offers due to a clause inserted in Sancho's contract last year. They also retain a 15% sell-on clause.